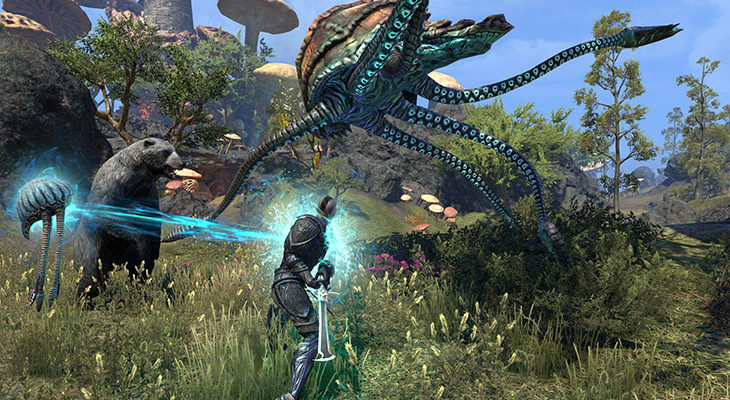 More than just an extension, Morrowind now represents the future of The Elder Scrolls Online. Thought about the various improvements made to the title since its release, this content with strong nostalgic resonance have the heavy task not to disappoint the expectations of a public probably rocked by the exotic ambience of TES III countries. A whole new class appears in Morrowind: the Warden, a role strongly linked to nature. 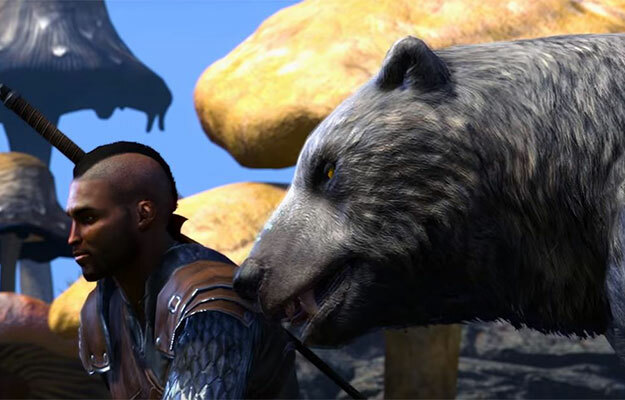 Accompanied or not by a powerful bear, the Warden is a hybrid class with three branches of talent. Its cold-oriented skill tree favors personal buffs and allied resistance. It can also become as solid as ice to tank with a certain class. A care-oriented branch makes the character very useful in group content and makes it one of the most versatile supports of the game at the moment. The imposing urside standing by our side will not be left behind with a branch dedicated to wild beasts where the player accesses a more extensive panel of zone attacks and other crowd controls. The bear can be considered as an extra tank, capable of taking heavy damage without replacing a real player. Too bad that this branch of talent is so close to that of the summoner, most of the invocation spells give the impression of being simple modifications of appearance of techniques already present in game. The arrival of the Warden in an extension such as Morrowind allow some players to make their return on the MMORPG with new gameplay to take charge. The Warden is an extremely powerful class when it comes to discussing the title of the title alone, which is rather good given the recent direction of the title.